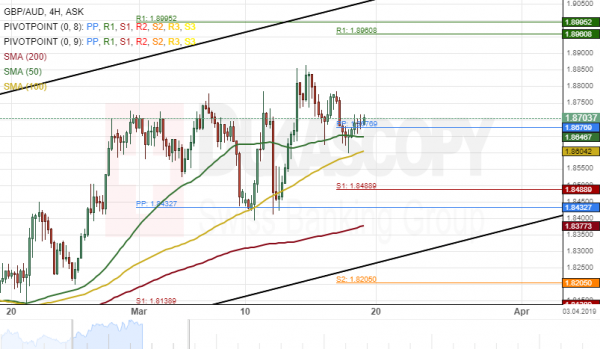 The British Pound bounced off from a support level formed by the monthly pivot point at 1.8432 on March 12 and had since gained about 1.43% in values against the Australian Dollar. Taking into consideration the structure of the GBP/AUD currency pair, it is likely that the exchange rate will aim for a resistance cluster formed by the combination of the weekly and the monthly pivot points at 1.8995 during the following trading sessions. Meanwhile, technical indicators flash buy signals on both the smaller and the larger time-frame charts.